Managing money when you are still single is pretty easy. Even more, you will just be concerned with yourself and your future money goals. However, when you already have a partner like a spouse, it is totally different. More so, this is a different ball game. Solving this as soon as you both can will truly help the relationship. This can even eliminate arguments and disparities within. Managing money with someone, especially in the context of marriage needs three important things to keep in mind. This is something that our financial marriage is also grounded. We are still into doing some baby steps with regards to money but I am most glad that my partner and I are in the same page with regards to finance. Here are our financial marriage building blocks. When money is involved, it would be best that both partner needs to be open with each other. This is in terms of your current savings, investments, salaries and assets. Here is where I changed drastically. You see, when I was still single I tend not to divulge even to my parents how much I earn. My mother would always ask and I just brush off the question. Now that I have a spouse, this is something I just can’t dismiss. If we would want to journey together in this road called finance, it would be best that we know how much we have and how much we owe. Being open even to the last centavo can yield trust. Furthermore, this will help solidify the marriage foundation more. I literally let my husband see my bank statements and even my debts. Upon knowing each other’s finances, it would be best to set financial goals together. This would cover important life milestones in both your lives where money would be deemed important such as children, retirement, savings and investment. I bet there are still a lot of financial goals you and your partner would want to set your feet in such as owning your own house, car or what not. This would depend on the things you would like to set your eyes on. The important thing is you identify those goals so that you can budget thoroughly both your money. As for my spouse and I, we managed to target a savings goal this year. Not to mention the goal of having a baby. The important thing is you both have the same objectives. This will keep both of you motivated and more so keep both your money’s in check. I can never stress the importance of having a budget. Considering that you both have now financial goals you would want to achieve in the next few days or months, it would be best to develop a budget in order to attain that. Identify how much percentage of both your salaries should go to this goal, to investments, retirement and expenses. Identify how much money should go to utilities, groceries, grooming and more. But now, your items have expanded because this involves more than yourself. And being the wife, it is our responsibility to be good stewards of our husband’s money. Consider also the money needed by your husband not only for his needs but also his wants. Budget, prioritize and both should stick to it. These financial marriage building blocks would surely be a great help. 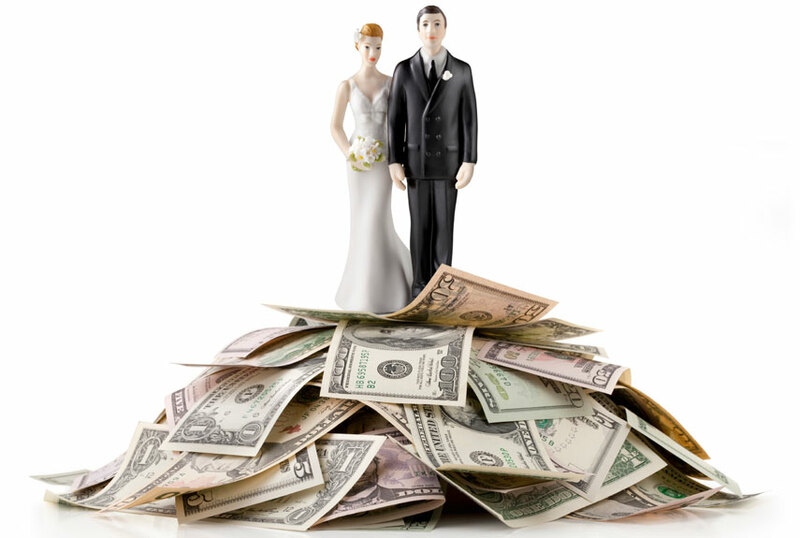 Knowing that many couples fight because of money, it would be best that as early as now you both learn how to manage this indispensable resource. Moreover, you both should be planning on the long term rather than on the short term. Remember, this does not only involve both of your lives but your future kids too. P.S To those doing the 52 Week Money Challenge, it is Week 26 already! Did you deposit the next amount yet?